We have already seen how to solve those nightmarish errors and today we will see another nightmare of Java developer, Java.lang.OutOfMemoryError: unable to create a new native thread, this is rather rare for core Java developer but if you have involved in web and enterprise Java development, you would have seen it on web servers like tomcat and jetty, and enterprise servers like JBoss, WebLogic, and Glassfish. As error message "java.lang.OutOfMemoryError: unable to create new native thread" suggests it comes when your application tries to create more and more threads and exhausted the limit imposed by your Server. The name "native" has a special significance in this error message, because when you create thread, JVM also creates a native thread (native to operating system e.g. Windows, Linux, Solaris or Mac OSX), and when JVM fails to create native thread in response to new Thread(), it throws "java.lang.OutOfMemoryError: unable to create new native thread". In Linux, you can check a number of native threads created by a process by using ps -eLF | grep java | we -l command. When I first see this error in one of our Java application I was surprised because it was simple core Java application which receives message, process it and then sends it to another queue. I know for sure that we cannot spawn so many threads to hit this limit because it's usually very large e.g. around 30K in Linux. We attached our application with JConsole and leave it running for a week, the error was true as our application has thread leak. It was unnecessary creating a new thread to process a new message and those threads just keep running because of message processing loop. In short, there is nothing fancy about this error, if you keep creating threads, eventually you will hit the limit allowed by Operating System to a process and then JVM will not be able to create new native threads and it will throw "java.lang.OutOfMemoryError: unable to create new native thread". Now, the limit is something depends on upon OS e.g. it would be different on Windows than Linux and vice-versa. This is also one of the easiest solutions to this problem. In order to learn about this error and in general about how to troubleshoot performance issue in Java, I would suggest reading a good book on Java profiling and performance e.g. 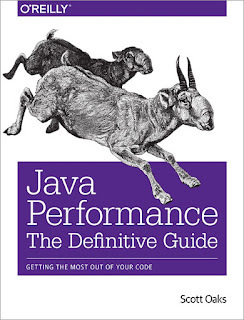 Java Performance The Definitive Guide By Scott Oaks. This will give you enough knowledge about tools and process to deal with such error in real-world Java applications. This error is the clear case of resource exhaustion. If you think that 1024 threads are too less for your process you can certainly avoid this error by increasing the limit by using the ulimit command as shown above, at least in Linux. There are similar solutions available for other operating system but just like we can increase heap to avoid java.lang.OutOfMemoryError: Java Heap Space, you can also avoid "java.lang.OutOfMemoryError: unable to create new native thread" error. If you think that 1024 is too many threads for your application but you are still getting this error then this is clear case of thread leak in your Java application. In order to find the thread leak, you need to find the code which is creating threads and carefully review to avoid the situation I have explained in the last paragraph. You can use jConsole or plain UNIX commands to monitor a number of threads spawned by your process. Alternatively, you can also read, Java Performance Companion by Charlie Hunt to learn more about how to monitor and profile Java applications. Btw, if you are not sure about the limit in your operating system, you can run following Java program to find exactly when your JVM will throw "java.lang.OutOfMemoryError: unable to create new native thread" error. This program does, nothing but creates threads and put them into sleep for a couple of hours. The program will eventually throw this error and you can check the count just before that to find out how many threads are allowed to your JVM on your machine. * "java.lang.OutOfMemoryError: unable to create new native thread" error. That's all about how to solve Java.lang.OutOfMemoryError: unable to create a new native thread in Java. As I said this is a rather uncommon error but it's good to know how to solve it. As a senior Java developer, you are bound to see such kind of performance related problems in production and you should know how to deal with them. As per my experience, I strongly suggest experienced Java developers to read latest one good book on Java profiling and performance tuning e.g. 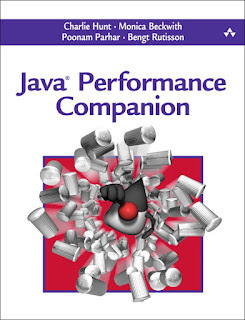 the most up-to-date, Java Performance Companion by Charlie Hunt, which covers G1 garbage collector. Thank you - your article was really useful in debugging Rundeck crashes. One small type "ps -eLF | grep java | we -l"
Thanks Vitaly, yes its word count command to count number of lines , wc -l is correct.